Essential's 360 Camera is now 90% off! During Prime Day yesterday, the Essential Phone was available to Amazon Prime members for the low, low price of $250. Flagship specs (albeit a year old), pure Android, a modular slot, and an eclectic package with razor-thin bezels — that was a pretty good deal. Well, Prime Day is now over, but does that mean the deals are over? "Nope! ", says Essential. The company is now selling its proprietary 360 Camera for just $19 on its website. That's a 90% discount from its original MSRP of $199! If you are planning to buy the Essential Phone right now, please note that going for a "Phone + Camera" package on Amazon will cost you a minimum of $465.48 for the phone and around $112 extra for the 360 Camera. Instead, just get the phone from Amazon and the camera from Essential's store and you will end up paying $485 for the full package (before shipping). 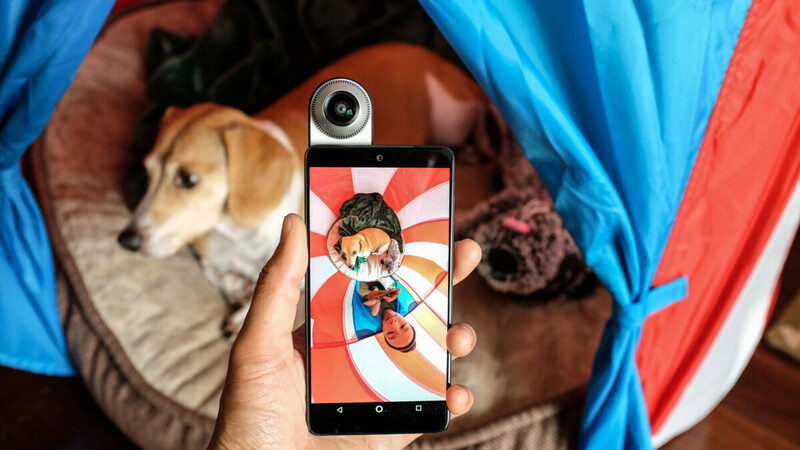 Unfortunately, you can only use the Essential 360 Camera with an Essential Phone since it's designed to exclusively work with the phone's magnetic clip-on module. We can't tell you how long the price would stay this low, too. Did you happen to buy the Essential 360 Camera while it was offered for $69 during the Summertime Deal promo period? We may have good news for you — Essential is currently considering making it up to customers who just missed the 90% discount. "Stay tuned for details", the company says. Yes, stay tuned for details if you recently purchased a camera with the Summertime Deal promo. That's amazing for anyone who already owns the Essential phone. I'm a happy pixel 2XL owner, but that prime day essential deal for 249.99 was too good to pass up, and now this camera. shut up and take my money, I'll resell it later. Damn, I absolutely did not care for it, but it seems like I must buy it at that price. Will have to look up some photos with it to see if I would even use it. Ordered. Just a heads up, there was a $7.95 shipping fee to California, so the total will be somewhere closer to $28.